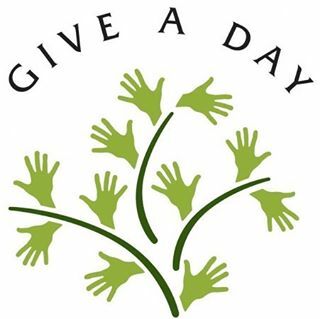 Lousville’s Give a Day Week 2015: Get Your Give On! Well folks, it’s that time of year again! The weather is warming up, flowers are blooming and the 4th annual Mayor’s Give a Day is happening right now! From April 18-April 26 the Mayor’s office in our hometown of Louisville will be promoting all types of service opportunities happening around the city. All of the projects are led by non-profit organizations, schools or churches who devote their time to making our community the best it can possibly be. Here at GGC, we’re excited to get hands on during this week and give back in anyway that we can! If you live in Louisville, you can connect here and find a way to give back that will help a cause you care about or might take advantage of your talents, or might even help you clear out some space in your garage. Some initiatives that may be of interest are filling an entire tractor trailer of toys and school related items that will be distributed by Kids Wish Network and its Holiday of Hope tour working with JCPS. Or you could donate a used bike that’s just collecting dust to Pedal Power Project providing basic transportation to refugees in Louisville. Bikes can be taken to Beargrass Christian Church, 4100 Shelbyville Rd or you can call 502-896-1161. One of our VISTAS, Tylar, donated her bike through the program and spoke on how convenient and easy it was considering they picked it up for her! We’re just getting started on listing some project ideas! You should visit http://www.mygiveaday.com for a more extensive list on what projects are available to community members, the times and descriptions. We urge all members to join in on the Mayor’s initiative and Ignite Good!® within our community next week! Don’t forget to report your acts of kindness and giving here, so we can meet the Mayor’s goal. Let’s come together to live out our title as Compassionate City USA and work hard to give back to this amazing city of ours!